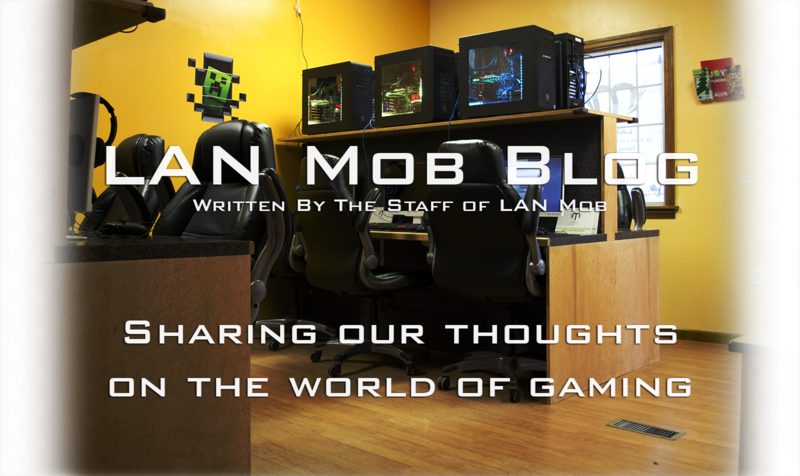 This is Dictator's second guest blog post for the LAN Mob blog. If you have content you would like to share with the community get in touch with us! I'll start this review off with a confession: I do not handle horror games well. Anyone present for the infamous, and sadly undocumented, Let's Play of Until Dawn can attest to that fact, during which I completely lost my composure at the very first jump-scare involving a badger running out of a cupboard. I'll also admit that before Resident Evil 7: Biohazard, although I had watched snippets of RE4 and RE5, I had never played a Resident Evil game before, making this my first. Interestingly, this is a game of many firsts, so perhaps it was fitting. The game largely eschews the convoluted storytelling of the previous entries, and it is not until the third arc of the story that you even are informed that it takes place in the same continuity as the others, when you find a newspaper referencing Raccoon City incident survivors. It is almost ironic that RE7 's tagline was “Welcome to the family” when the game seems to wish to divorce itself from the Resident Evil family. Instead it is largely content to play by itself in a corner, not beating you over the head with returning characters or mentions of Umbrella Corporation or T-Virus. It makes the game more approachable to the newcomer like myself, as well as making it much harder to predict how the story is going to play out. The plot focuses around new character Ethan Winters, whose wife, Mia, went missing three years ago after sending him a cryptic video telling him that she was sorry for lying to him and that he should forget she ever existed. When Ethan suddenly receives a note from her urging him to come to the Dulvey Plantation in Louisiana, he heads there, eager to find his wife and some closure. I cannot go to much further into details for fear of heading into spoiler territory, but the resultant adventure (or misadventure, depending how you view it) pushes Ethan and, through him, the player to the limits of their courage. The ending in particular takes a crazy plot twist that took me completely by surprise and leaves the player with plenty of questions, that will likely be addressed in either the DLC due out this spring, or in future installments. 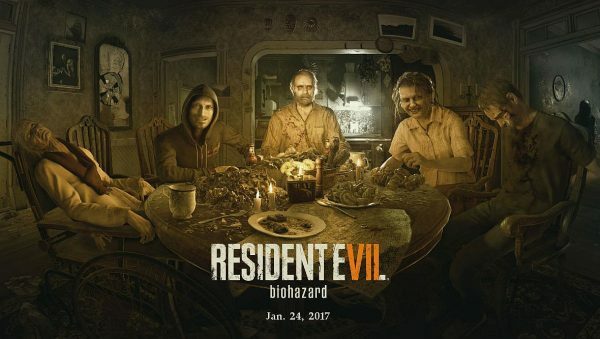 Ethan is unique as an RE7 protagonist in that he is not a specially-trained S.T.A.R.S. operative or government agent, he is just an average guy who happens to be looking for his wife and gets in way over his head. He does not have very much health, he cannot run very fast or prolonged periods of time and he is not proficient at all with firearms, being a bit of an unsteady aim and a slow reloader. There are items hidden around that improve his overall health and stamina and reload speeds, but even with those, he will not be punching any boulders in half anytime soon a la Chris Redfield. That's not say that Ethan is a total wimp though. Despite the horrific circumstances he is thrust into, he stays pretty determined to find his wife, despite the amount of physical and mental abuse he takes, and he often has a steely tone to his voice, particularly during boss fights. Overall, Capcom created a very likable character, which is a good thing, as there was a lot of chances for Ethan to become a whiny cowardly mess. 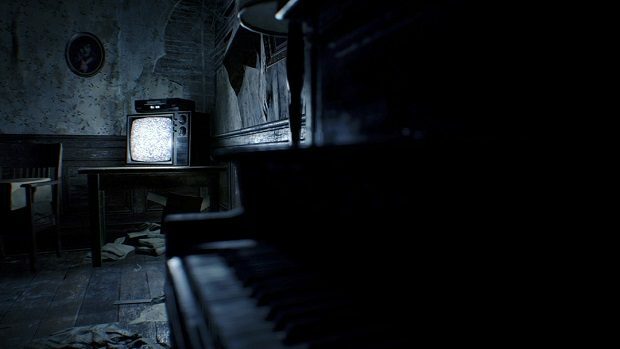 Resident Evil 7 has players solving problems in a different way. The main antagonists of the game are the Baker family, who inhabit the seemingly abandoned Dulvey Plantation. Described as a “quiet” family, something happened to them that turned them into immortal terrors. Father Jack Baker, with his jovial nature and Louisiana drawl, almost seems comical, except for the fact that he is usually carrying some huge melee weapon to bludgeon you with and is willing to smash through a table or even a whole wall as he stalks you down, all while shrugging off almost any damage you deal to him. He is happy to have you as a guest in the house, in the same way that a cat is happy to see a mouse. Fortunately he never moves at faster than a leisurely stroll, so escaping him and hiding is possible, as long as you do not corner yourself, but he is relentless in his search, meaning you have to take care. His wife Marguerite, on the other hand, moves around much quicker and is not a fan of Ethan poking around the property. When she sees him she tends to attack with a combination of swarms of insects and weaponized profanity, while similarly ignoring pretty much anything Ethan does to her. Seriously, the woman has a mouth that would make Gears Of War 3-era Markus Fenix wince, and her insults are quite creative. All in all, I found her much more terrifying than Jack. Their son Lucas you never directly encounter. Instead he prefers to indirectly torment you through his “games”, which tend to be lose-lose scenario puzzles in the vein of the Saw movies. His zany off-color humor made him a memorable presence, although I felt like he was sadly underutilized. Finally, there is Aunt Rhodey, who is a special kind of unnerving. She just appears as a comatose, unresponsive old lady in a wheelchair who shows up in all sorts of unexpected places and just sits there. It is a strangely effective scare tactic. Not only are there the Bakers, but Ethan also encounters the Molded, this game's fill-in for zombies. These twisted masses of black mold, teeth and necrotic flesh and muscle are horrifying monstrosities that attack Ethan with single-minded determination. There are a few variations of them to shake things up. The basic variant walks around at a slow pace and attacks with their teeth or extending clawed arms. Another version moves around on all four limbs, can leap through the air and run along walls, but takes less damage to destroy. The third version has a large shield-like arm, has a stronger melee attack and takes much more damage to destroy, but moves much slower. They can be destroyed by shooting their head off, or you can cut or shoot limbs off to deprive them of mobility or attacks. Also, the Molded are not particularly intelligent, so they cannot work doors, allowing you to trap them in rooms, as long as you do not have to go back in the the room you trap them in again. 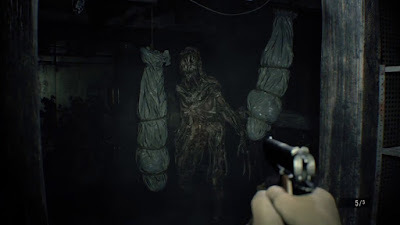 The presence of Molded tends to be fairly telegraphed, as they only show up in areas where there are the black mold growths on walls, ceilings and floors, but they also drop out of the ceiling or sneak up behind you with surprising stealth and can box Ethan in and kill him in a hurry. This is also the first game to run on the new proprietary RE Engine, created specifically for this series, and it is robust. All the environments are rendered in painstaking detail. I will not say that the graphics are beautiful, but it is not a dig at the engine, it is simply because the Baker residence is absolutely filthy. There is no beauty present. Playing the game for prolonged periods will make you want to take a shower and steam clean your entire house. There is traces of the house being a normal residence at one point, but it is now in disrepair and covered in filth, trash, gore and black mold. 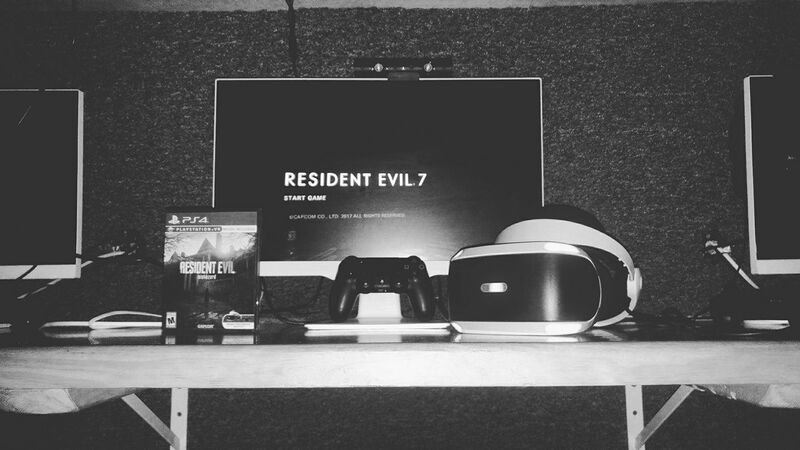 Continuing the trend of firsts, this is the first Resident Evil to be played in a first-person perspective. There were concerns that this might ruin the classic Resident Evil series formula, but while it's definitely a new experience, there is no denying that it flat-out works. Capcom's Jun Takeuchi championed the change as making the experience more immersive, and that the first-person perspective's limited field of view makes it easier for enemies to sneak up on you and surprise you. I played on the Xbox One, but I have heard that it's compatibility with the PS4's VR capabilities makes it even more immersive and, as a result, even more frightening. 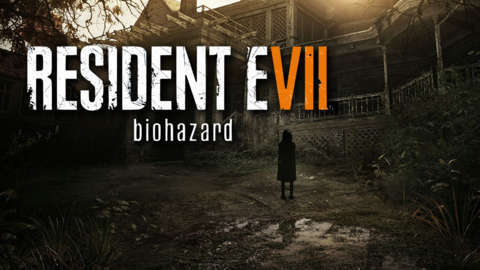 Along with the change to first-person, people expressed other concerns that the series did not seem to resemble a Resident Evil game. While the story and gameplay perspective have changed, other traditional features of the series do make a return. The ludicrously impractical locks of the series make a return, many of them being animal-themed, although in a little bit more of a literal sense than before. There are also some excellent portions of puzzle-solving, usually while dealing with Lucas Baker, as well as the multiple boss fights, as you struggle to stay alive and figure out how to use the environment to stop your enemy. There are also very limited resources, leading to frantically scrounging around for ammunition or med-packs. There is a basic crafting system in place that allows you to combine various strength “Chem Fluids” with other materials to craft crucial items like handgun ammo or health packs or fuel for the makeshift flamethrower. This forces you into making difficult decisions, as many of the crafting materials overlap, so you often find yourself trying to decide if it is better to make more pistol ammo to protect yourself and limp along with limited health, or do you craft a health pack and hope that you find more ammunition before you find more enemies? There are also multiple endings, various powerful items unlocked by playthroughs and plenty of collectibles to find, encouraging players to replay the game multiple times. I did have a few minor complaints about the game though. One was that the overall length of the game is a tad bit short. I spent a lot of time exploring and backtracking to the item storage box as I tried to stockpile ammunition and supplies, as well as getting stumped several times by puzzles, and still managed to finish the game in 10 hours on the highest difficulty you can play on on your first attempt. Also, the VHS feature of the game was criminally underused, with there being only 4 present throughout the entire game. For those unaware, you find VHS cassettes scattered around the Baker residence that you can “watch”, allowing you to play as a different character who is filming. These often helped you find important items or solve puzzles when you returned to playing Ethan, as well as building the world and telling the story of other characters that Ethan indirectly encounters. These also tended to be downright terrifying as the featured characters were often in very real peril. It does beg the question of who is recording VHS tapes in 2017? Also, as I mentioned before several characters were underutilized, like Lucas Baker. Despite being one of the more hilarious, you only briefly deal with him; his fate, along with a few others, is left ambiguous, so maybe he will return in future DLC. Overall though, Capcom has created a masterpiece and proven that after more recent missteps, the Resident Evil franchise still has plenty of life. For those who are concerned that it is going to be too different, it is better to try something new than to continue down the same path it had been heading down and there is still plenty of classic cues present. For those who have never played the franchise and have been daunted by trying to get up to speed on the long-reaching backstory, like myself, this is a great jumping-on point, as it is largely a standalone adventure. And for those who are worried that is going to be too scary for them, I managed to make it through, and that is saying something. If I could handle it (barely), then you likely can as well. Here's to hoping that this signals the rebirth and resurgence of one of the longest-running game franchise.